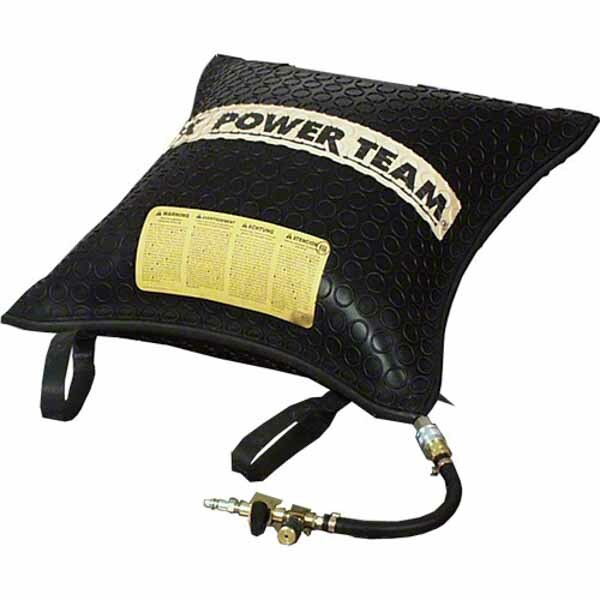 Whether you want to lift 1 ton or 74 tons the Power Team inflatable jack is just the ticket. At SGS we supply a full range of power team inflatable jacks in a variety of sizes to lift an amazing range of weights. The highly flexible and lightweight jacks require an air supply of just 8 bar minimum and can be filled with any non-explosive gas or water for inflation purposes. Highly flexible and lightweight jacks only require an air supply of 8 bar maximum. Any non-explosive gas or water can also be used for inflation. Uninflated jacks are only 25.4 mm thick, making seemingly impossible lifting tasks routine. Space age reinforced, multi-layer aramid construction, widely overlapping on all sides. Tested at 8 bar. Shop SGS’s amazing selection of inflatable jacks now. The Power Team inflatable jacks are extremely convenient and can be used to lift a lot more than a standard jack. Their construction means that they can be used in areas and positions where it’s physically impossible to place a larger jack and their consistency means they’re ideal in situations where you may be at risk of getting an electric shock. When they are uninflated they are only 15.4mm thick meaning they’re easy to get in tight nooks and crannies. Whilst being super compact, they’re also equally light weight as their neoprene bonding means that they are unaffected by many chemicals. 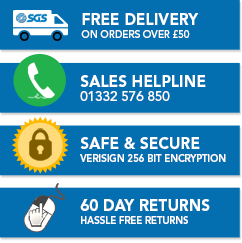 For more information about space age reinforced Power Team inflatable jacks at SGS please call us on 01332 576 850.